Even the Kind of Monsters has to take a break from battling monsters! The Godzilla Vinyl Wars series captures a reproduction of a classic Toho sofubi featuring Godzilla catching some much needed shut-eye. 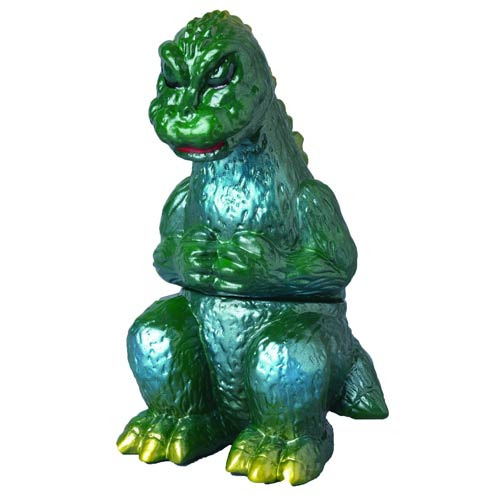 A Previews Exclusive, the Godzilla Vinyl Wars Sleeping Godzilla Sofubi Figure will hold a place of high honor in your collection. Ages 15 and up.